What next for US stocks after 4 day sell-off? US stocks fells for four straight days last week – all trading days of the week because of Labor Day. Looking at historic data, this could be a bullish signal says Frank Cappelleri at Instinet in New York. Four day sell-offs have led to gains in the coming fortnight in the majority of cases over the past 5 years. 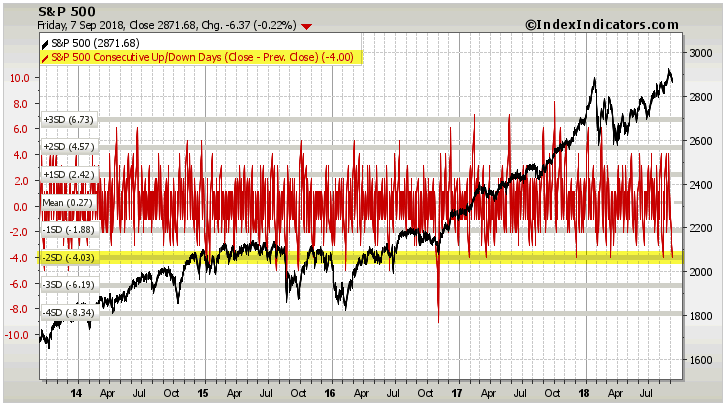 Of the previous 19 occurrences of four day declines, the S&P has gone on to rally in 74% of cases by about 1%. A bullish outlook is also supported by a continued pattern of higher lows in the S&P since April, and low volatility. Meanwhile, S&P components, namely tech stocks, sold off sharply but are set for a rebound says Cappelleri. 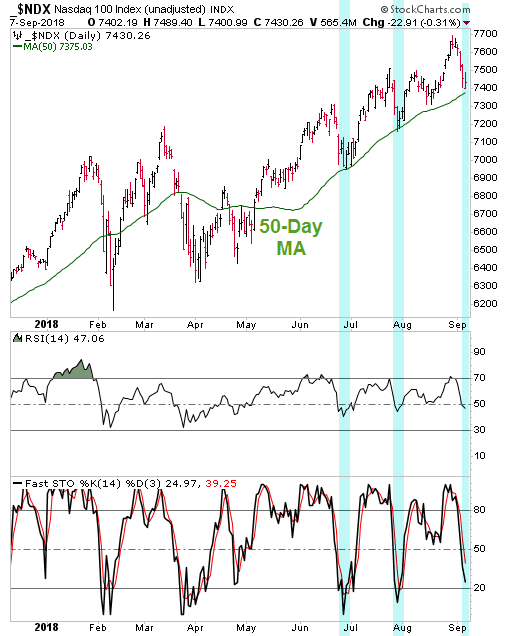 Whilst the Nasdaq tested its 50-day moving average last week, the line once again provided solid support for prices adding further fuel to a continued uptrend for all stocks in the weeks ahead.